Peter Robbins was born as Louis Nanasi on 10 August 1956, in Los Angeles, California USA, of Hungarian descent. 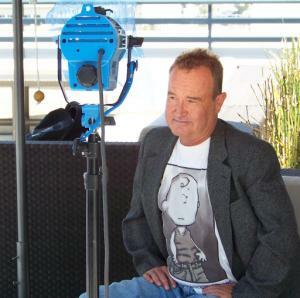 He is a former child actor and voice actor, best known for being the first voice of Charlie Brown in the “Peanuts” films and television specials of the ’60s. So just how rich is Peter Robbins? Sources state that Robbins has earned a net worth f over $200,000, as of early 2017 from his acting career as well as through his personal business ventures. Robbins grew up on Los Angeles; when he was 16 years old, his mother died from cancer. He attended the University of California, San Diego, graduating in 1979 with degrees in Psychology and Communications. His acting career started in the early ’60s, appearing in the 1963 romantic comedy “A Ticklish Affair”. The following year he appeared in several television series, including “Rawhide”, “Vacation Playhouse”, “The Munsters” and “The Farmer’s Daughter”. His wealth began to rise. In 1965, being aged nine, Robbins began providing his voice for the character of Charlie Brown in the acclaimed long-running comic strip “Peanuts” by Charles M. Schulz. By the end of the decade, he had been involved in six “Peanuts” television specials, including the holiday classics “A Charlie Brown Christmas” and “It’s the Great Pumpkin, Charlie Brown”. He also voiced Charlie in the 1969 film “A Boy Named Charlie Brown” and in several television films, but in 1970 he was replaced by younger child actors. Robbins is credited for originating the character’s famous “AAUGGGHH! !” shout, first used in “It’s the Great Pumpkin, Charlie Brown”, which continued to be used in the later specials after the actor was replaced. Voicing the world-weary yet optimistic Charlie Brown brought Robbins great popularity among worldwide audiences, and significantly added to his net worth. In the meantime, he was involved in other projects as well, on both the big and small screen. In 1965 he appeared in the thriller film “Moment to Moment”. The following year saw him in the drama film “And Now Miguel”, and he made television appearances in series such as “Love on a Rooftop”, “ABC Stage 67”, “The F.B.I.” and “Get Smart”. He also had the recurring role of Alexander Bumstead in the series “Blondie”. All contributed to his wealth. Robbins’ resume didn’t continue to grow in the ’70s, as aside from briefly appearing in the television series “Bracken’s World” and “My Three Sons” in the early part of the decade, his acting career simply ended there. He later worked as a disc jockey in Palm Springs, California and concentrated on his education, enrolling in the University of California in San Diego. In the mid ’90s, he hosted a radio talk show in Palm Springs at KPSL 1010 Talk Radio. He eventually became involved in the real estate industry in Van Nuys, California. When it comes to his private life, it has been quite stormy as the former actor has been involved in several controversies, partly because he claims that he has bipolar disorder and suffers from paranoid schizophrenia. In 2013 he was charged with a number of felonies, making criminal threats and stalking, involving a San Diego Police sergeant, Robbins’ ex-girlfriend Kern, and a doctor who performed a breast enhancement for the girl. His sentence of a year in jail was eventually commuted to residential drug rehabilitation treatment. Then in 2015, he was arrested for violating his probation by drinking alcohol, cutting off his GPS bracelet and not attending domestic violence classes.. Later that year, he was sentenced to four years and eight months in prison as part of a plea agreement for sending threatening letters to his wife, and the manager of a mobile home park in Oceanside, CA. TV Shows "The Munsters" (1964), "Peanuts" (1965–1969), "Rawhide", "Vacation Playhouse", "The Munsters", "The Farmer's Daughter", "Love on a Rooftop", "ABC Stage 67", "The F.B.I. ", "Get Smart", "Blondie"
1 [on his voice as Charlie Brown] It is my natural voice, but it has a special kind of inflection, a mixture of anxiety and reflection as only a 9-year-old can display. 1 Brother of Ahna Capri. 2 As of December 2005, he was managing an apartment building in Encino, California. 3 Was arrested on January 20, 2013, in San Diego, on stalking charges. 5 Owns a dog named Snoopy.